Luxembourg, January 16, 2018 – The Ministry of the Economy and the China National Space Administration (CNSA) signed today a Memorandum of Understanding (MoU) that provides a framework for the development and implementation of scientific, technical, economic and political cooperation between Luxembourg and China in the exploration and use of outer space for peaceful purposes. 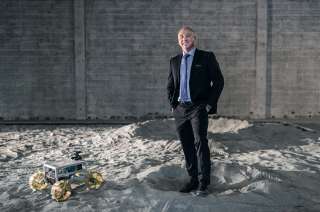 The areas of potential cooperation include, but are not limited to economic, legal, regulatory and technological aspects of the utilization of space resources. Furthermore, the Ministry of the Economy, represented by Deputy Prime Minister, Minister of the Economy, Étienne Schneider and the National Space Science Center (NSSC) of the Chinese Academy of Sciences (CAS) signed a cooperation agreement to establish a Research Laboratory of Deep Space Exploration in Luxembourg. The National Space Science Center is China's gateway to space science. It is the key institute responsible for planning, developing, launching and operating China's space science satellite missions. 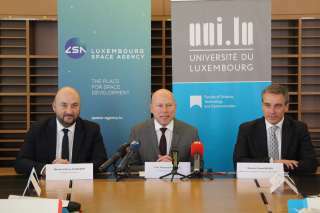 The Research Laboratory of Deep Space Exploration will be established as an independent legal entity in Luxembourg where it will carry out scientific research and technology development and thus contribute to achieving the objectives set forth within the SpaceResources.lu initiative. Other main research fields of the Research Laboratory include universal interplanetary communications network related technology or advanced deep space communications technology. 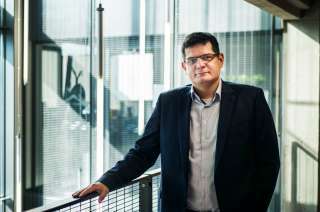 In a first stage, the Research Laboratory will employ at least 5 employees in Luxembourg.